We are on a nationwide search for talented amateur cooks from all types of backgrounds and with a range of cooking styles, to audition for Season 10. Whether you enjoy cooking delightful desserts or hefty main courses, whether you cook fine French cuisine or prefer a great tasting burger, we want to hear from you. If cooking is your passion, you cannot miss out on this opportunity. Now’s the time to turn in your desk job and follow your culinary dream – take this first step: fill in the application form, cook your favorite dish, and head down to an open casting call. You must also be a citizen or legal permanent resident of the United States. Your current main source of income cannot come from preparing and cooking fresh food in a professional environment (restaurants, hotels, food trucks, catering etc). HOW DO I APPLY TO BE ON MASTERCHEF 10? Please go to open-calls for open casting call locations and times. We encourage everyone to attend an open casting call in one of the cities that will be posted on our site. If you are absolutely unable to attend an open casting call (although we would love to see you there), you may also submit a home video to be considered. Instructions can be found at http://masterchefcasting.com/videos. If you choose to make a video, you are encouraged to download the application from the website and follow the instructions on where to send in your materials. Please follow the home video instructions carefully. The deadline of receipt for application forms and video submissions is Friday, October 12th at Midnight, 12:00am PST. SHOULD I SEND IN A VIDEO SUBMISSION IF I PLAN TO ATTEND THE OPEN CASTING ALL? No, it is not necessary if you attend an open casting call. We only ask that you send in or upload a video submission to our website if you cannot attend an open casting call. Please note that we receive thousands of video submissions so make sure yours stands out! AFTER THE OPEN CASTING CALL, WHEN WILL I KNOW IF I’M MOVING TO THE SECOND ROUND? Those who are selected for callbacks will be told at the time of their audition or shortly thereafter. Callbacks will be scheduled approximately 1-3 days after the open casting call. IF I AM SELECTED TO PARTICIPATE ON THE SHOW, WHAT IS MY TIME COMMITMENT? If you are selected to be on the show, you must be available to commit yourself to the competition and taping of this show for approximately 9 weeks between the months of January 2019 to March 2019, depending on how far you advance in the competition, but dates are subject to change at Producer’s sole discretion. WHAT DO I NEED TO BRING TO AUDITION AT THE OPEN CASTING CALL? 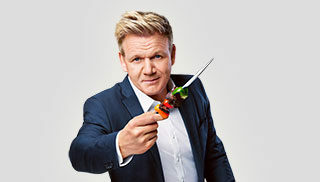 Go to http://masterchefcasting.com/how-to-audition. Fill out the online application and print out and bring with you to an open casting call. If you cannot do this, we will give you a hard copy of the application form at the open call as you wait in line. One prepared dish (see below). You must serve one plate of food to food experts. You will not have access to any equipment to heat your food and we will not supply you with any dishes, etc. You must bring your own utensils including the plate, knives, forks, spoons, etc. You will be given 3 minutes to plate your dish (once you get into the audition room) so bring whatever it is you need to do that! Please think carefully about the food that you bring to the audition, and how you will transport it to the open casting call, especially if you are traveling from afar. Please also take into consideration that you must be able to carry everything you need into the audition room. No plate of food, no entry to the open casting call. WILL I BE FACING THE FOOD EXPERTS ALONE AT THE OPEN CASTING CALL? You will be going into the audition room in groups, so we highly suggest you start off with a bang and submit a great application and a stunning dish! Producers reserve the right to modify allotted times for auditions at their sole discretion. WILL THE FOOD EXPERTS EAT EVERY PLATE OF FOOD PRESENTED TO THEM? At least one food expert will try to taste every plate of food presented to him or her in the audition room. There may be reasons that a food expert is unable to taste every dish – e.g. allergies, or if a food expert deems the dish to be inedible! WHAT KING OF PLATE OF FOOD SHALL i BRING? You can bring any dish, as long as it is presented on one plate. 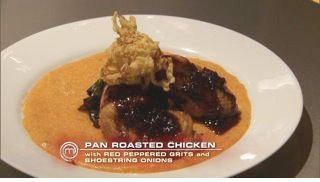 But remember, you will be evaluated on this dish, so make sure you think carefully about it. Maybe it’s your signature dish or a recipe handed down through generations of your family or maybe it’s you on a plate – whatever you decide to bring, make sure it says something about you! Please remember you will have a short amount of time to plate the dish at a table and if you take longer, there is a chance you will be sent to the back of the line. WHAT SHOULD I WEAR TO AUDITION AT THE OPEN CASTING CALL? You can wear anything you like, as long as it doesn’t have a logo, photo, artwork, name of a recognizable celebrity, band, or other group, or a product brand name. Wear something that best represents you! For the most up to date information please CLICK HERE. If we are unable to see everyone the day of the auditions, don’t worry! We are diligent about getting everyone’s contact information at the open casting call and will try to follow up with all who attend. 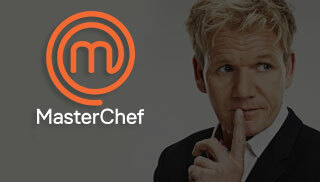 We encourage you to apply online at http://masterchefcasting.com/how-to-apply. There may be a parking fee at the venue. The parking fees are set and collected by the venue manager. We have nothing to do with the parking fees or facilities. Food and drinks will not be available for purchase at the venue, so please bring your own water and snacks. Please be sure to eat something prior to coming to the registration and the audition in order to keep your energy level up. Remember, breakfast is the most important meal of the day and this could be the most important audition of your life! No children under the age of 13 years are allowed at the audition venues. Please note that the audition day will be a very long day with a lot of standing/waiting and it is not a suitable place for young children. Please do yourself a favor and arrange for childcare if you are coming to the audition. For child welfare reasons, people accompanied by young children may be asked to leave the audition venue. Please note that audition times and dates, application submission deadlines, and other information contained herein is subject to change as determined by the producers. All those considered for the series will be required to submit and sign additional documents (which may include, without limitation, a participant agreement, waiver, and series rules) in order to be considered to participate in the series. If there is any conflict between the information on this website and these additional documents, the documents shall control. The food experts shall be selected by the producer of the series in its sole and absolute discretion and the decision of the producer of the series is final in all respects.